Why Is Kevin Gates in Jail? When Does Kevin Gates Get Out of Jail? Why is Kevin Gates in jail? When does Kevin Gates get out of jail? These are the questions circling the Internet as fans of the rapper are seeking updates about his sentence. 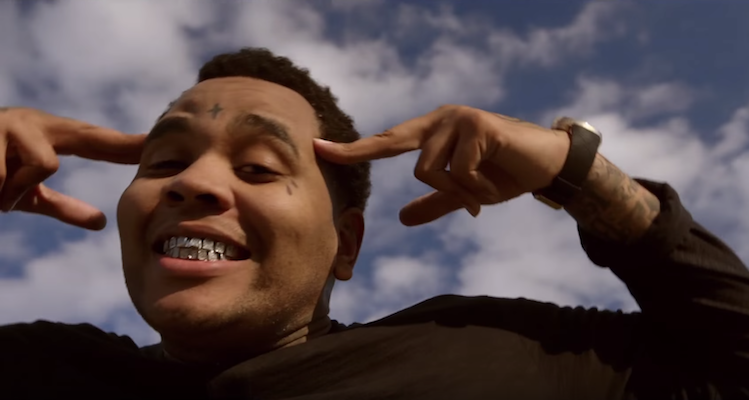 For everything on Kevin Gates’ release date, keep reading. Is Kevin Gates still in jail? How long is Kevin Gates in jail? What is Kevin Gates in jail for? It all started last October, several months after he dropped his platinum-selling debut album, Islah. At that time, he was sentenced to 180 days in jail for kicking a female fan in the chest during a Florida show. He was scheduled to be released this past March, but was held and sentenced for an additional 30 months in jail due to a gun charge in Cook County, Illinois, stemming from an incident in 2013. As a result, Gates won’t have any chance of getting out until his next scheduled release in summer 2018. Gates’ rap career has been slowly but steadily built, to the point that he now has more than just a cult-like following. He has brought forth a lot of music, and is often admired for his honesty in his records. In 2013, his life changed after he dropped The Luca Brasi Story. It was that release that truly helped the rapper rise to fame, and since then, fans have been going crazy over his music. He even made the 2014 XXL Freshman Class, and his single “I Don’t Get Tired,” went certified gold. It became his first single to be on the Billboard Hot 100. He also created an energy drink! What Is Kevin Gates in Jail For? In an interview, Dreka said Gates would call and give his input on some of the projects they’ve been working on. She always remains confident in this opinion and has full faith in him. She also described her husband as a family man. She said that growing up, all he ever wanted was his own family, because he wasn’t raised in a core family dynamic like that, adding that he always takes advantage of any time he gets to spend with his kids. As for how he’s doing in jail, she said that he’s doing great. “I’m finally happy with myself and who I am,” he said to her.